The outstanding contemporary mantel design of the Linwood lends itself to its striking Rift Grey veneer finish. 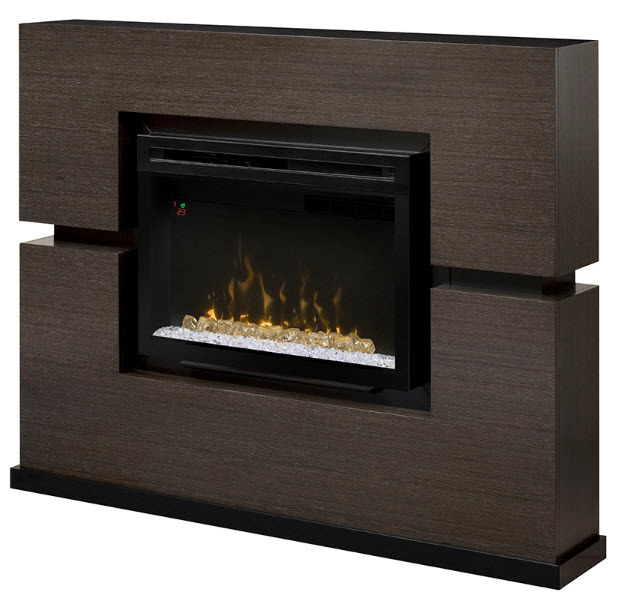 Combined with the all new, dazzling Multi-Fire XD™ Electric Firebox including Comfort$aver™ heating system and gWave™ gesture recognition technology, the Linwood is a striking addition to any space. 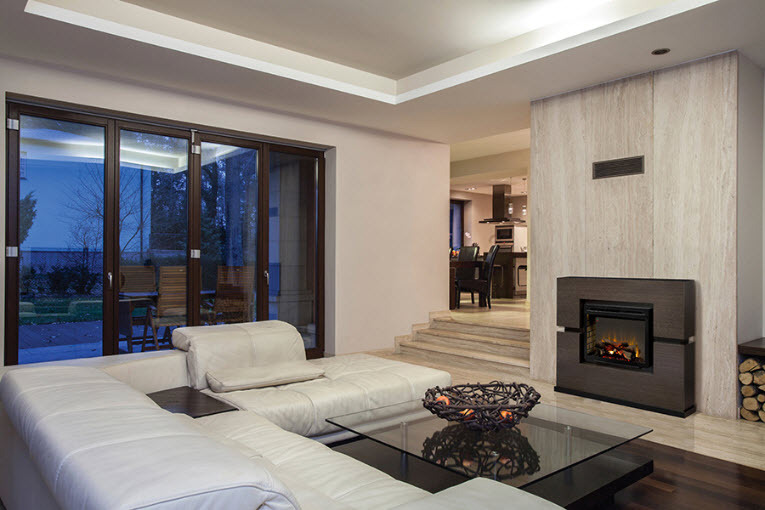 Multi-Fire XD™: The dazzling Multi-Fire XD™ can accurately reproduce a natural wood-burning fire, gas fireplace or a range of ambient light themes that range from moody and hypnotic, to pulsing and vibrant. 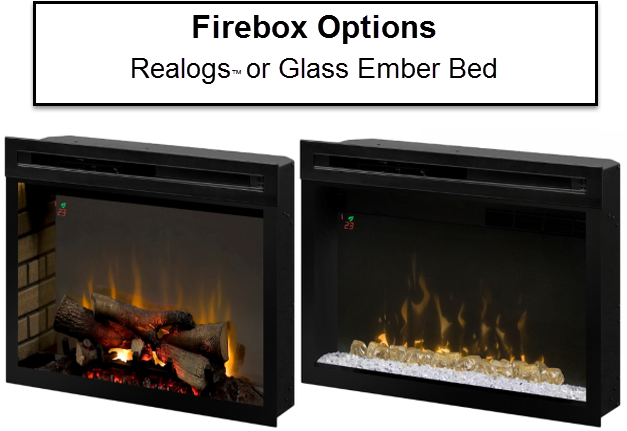 Media Bed Options: Choose from Realogs™, molded from meticulously selected firewood, charred and positioned against the back mirror, maximizing the illusion of depth and authentic burning firewood, or chunks of acrylic ice nested on an ember bed of tumbled glass pieces, giving an alluring and shimmering effect. gWave™: The exclusive gWave™ feature brings the fireplace to life with the wave of a hand; customize the settings then simply wave it on and off. Floating Display™: Floating on-screen LED display allows you to view temperature settings and functions easily. 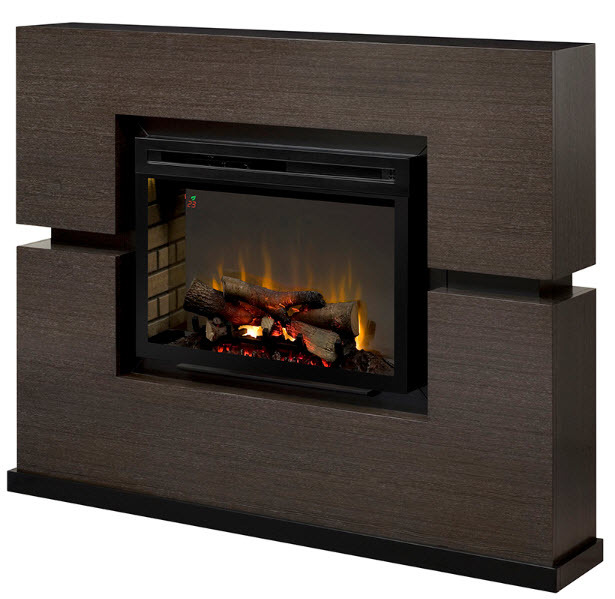 Multi-function Remote: Control 100% of the fireplace features from the comfort of your chair. Comfort$aver™: The patented Comfort$aver™ ceramic heating system uses 11% less energy than the leading quartz infrared heater by automatically adjusting fan speed and heater wattage to safely and precisely match the requirements of the room. ECO mode: Reduce consumption by 33% with this energy saving setting; limits heat output to 750W for maximum efficiency and quieter operation. Heat Boost: Quickly warms a room by delivering maximum heat output for a pre-determined amount of time. 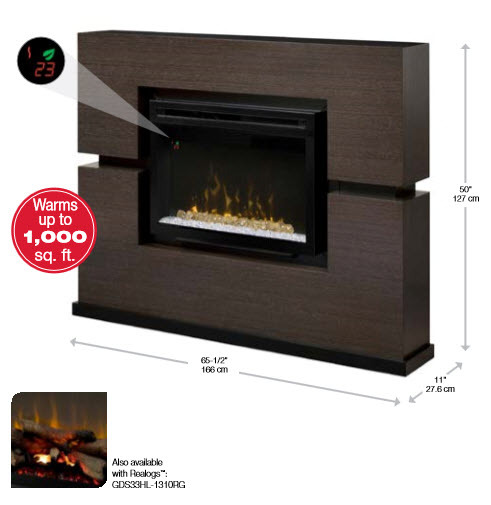 Year-round Enjoyment: Enjoy the ambiance of the flame with or without the heater for year-round enjoyment. Green: The green alternative. No harmful particulates or emissions and 100% efficient. Safe: Front glass stays cool to the touch.